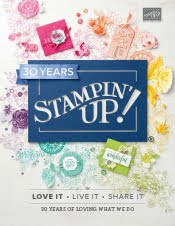 Just Julie B's Stampin' Space: Last Chance Papers! 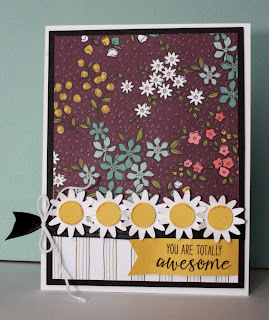 I made this fun card for the Creating Pretty Cards Sketch Challenge over at Craft Project Central! I wanted to use these pretty papers - that I haven't had a chance to use yet. And tomorrow is the LAST day to get them!! You can get them FREE with your $50 order. And if you're wondering what you need to make this card, besides the FREE papers, I'll tell you... the Grateful Bunch and Blossom Bunch Punch Bundle!! I love this set and punch bundle - it seems to be a bit of a sleeper in the Occasions catalog, but it's so awesome! I will definitely be using it again soon! So many possibilities with it! And today is the last chance to join the Creating Pretty Cards Challenge! Click HERE for more details on how you might get a FREE subscription if you join the Challenge!